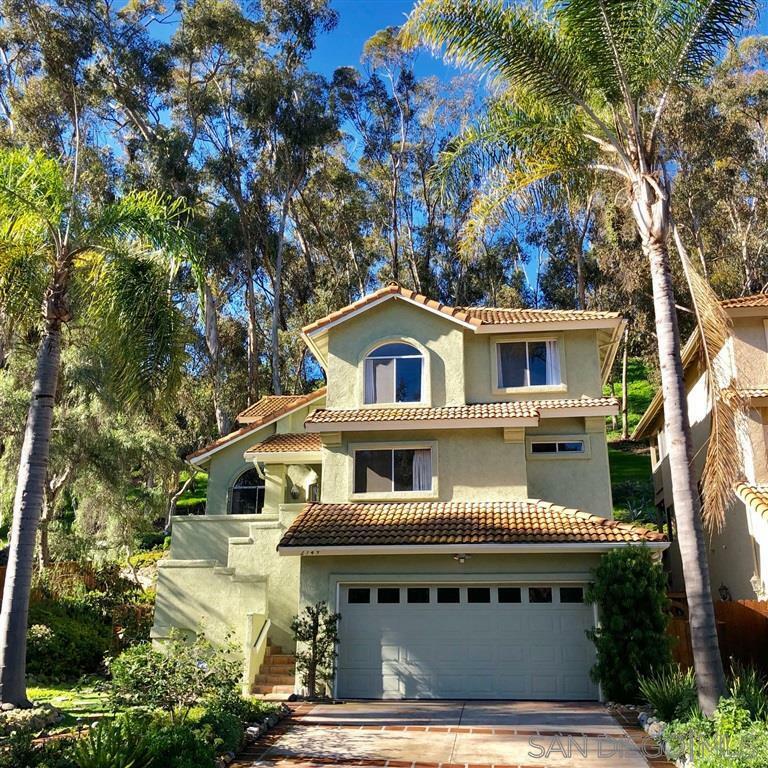 Beautifully upgraded home in the Woodridge Development of Carlsbad. Light and bright kitchen with White Cabinets, Corian Counter Tops, Stainless Steel Appliances and Garden Window. Sunny breakfast Nook with views of the Eucalyptus Grove. Highly upgraded wrought Iron Staircase and Brazilian Cherry Wood Flooring throughout most of the home. Light colored tile in the entry and family room. One Bedroom, Bathroom and Laundry on main living area. Upstairs you will find the Master Bedroom & retreat.